Sardar Singh said that his conversation with Sachin Tendulkar helped him to bounce back and rejuvenated his confidence. Sardar Singh, who recently announced his retirement, revealed that Sachin Tendulkar had motivated him to make a comeback after he was ignored from Commonwealth Games (CWG) 2018 in Australia. Addressing media on Saturday, post his retirement, Sardar recalled, "When I was left out from CWG, I called Sachin paaji. I was feeling very distraught. I asked him that what he used to do when he scored 0. He bucked me up and said that people criticise a lot on your bad performance. He spoke to me for a long time and told me to forget all criticisms, analyse my performance by watching old videos and play your natural game. It has helped me a lot in the last four to five months." Commenting on his retirement, the 32-year-old said it was a hard decision. He said, "I took this decision after consulting with my coaches, senior players, family and friends. I'll miss the dressing room and the time spent with the team. But it had to happen one day. It's time to spend time with my family. Special thanks to all for your support." Asked which match was memorable for him, Sardar replied, There are so many of them, in CWG and in World Cup. 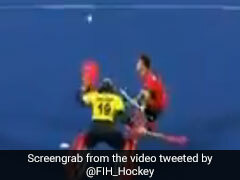 We lost to England in the 2012 Champions Trophy. But, it was the best tournament for me. I learnt a lot." He credited Indian Olympic Association president Narinder Batra for reviving Indian hockey and lauded his teammates' professional attitude in playing matches fearlessly. 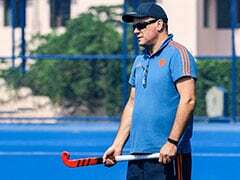 Acknowledging that the entry of foreign coaches like Roelant Oltmans and Barry Dancer had made an impact in the fitness of the Indian hockey team, Sardar further said, "After they came, our fitness and performance improved drastically. 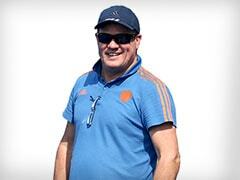 It reached to a high standard and we are now very competitive in all tournaments." Quizzed on India's disastrous performance in this year's Asian Games, the hockey star replied, "It is a part of the game. We were well prepared. We had training sessions. Unfortunately, we could not make that count. Hope we can now make a comeback." Born to a humble farmer's family in Sirsa district of Haryana, Sardar played his first international match with the junior national team during India's 2003-04 tour of Poland. He made his senior India debut in 2006 against Pakistan at the bilateral series and also led the Indian team at the 2008 Sultan Azlan Shah Cup.